After a disastrous qualifying that saw Kimi in 10th, corrected to 9th after Webbers penalty, hopes weren’t high for a good result in Korea. A broken frontwing (and a mistake from Kimi as well) saw to that. Ok, he got a podium in Singapore and I know I said that I wouldn’t doubt his abilities again. But come on. Lightning doesn’t strike twice, right..? Perhaps not lightning but apparently the Iceman does..
As the lights go out, Kimi gets a so-so start but being cautious in turn 1 gave Perez the opening to slip by on the inside. Down at turn 3 after the long straight, there is mayhem as ballerina Massa spins and almost gives Alonso a tap on his sidepod as half the field has to take evasive action. This enables Kimi to make up a couple of places even though he has to almost stop for a wrong-facing Massa. Doesn’t look good for the Brazillians aspirations for a drive next year. Pleese Mistah. Can I drive for you guys neks year? I will be a good skoolboy. Raikkonen vs Ricciardo. Round 3. Grosjean got the jump on Hamilton so he is in 2nd, getting all excited about maybe eating a victory croissant stuffed with Brie de Melun after the race. Dream on little froggy. It’s not going to happen. Lap 4 and Kimi is feeling rather racy as he gets right up the exhaust of Ricciardo down the straight. He does a signature pass on the outside of turn 3, defends down to turn 4 and makes it stick. Impressive. I was expecting a long haul behind the Toro Rosso as it’s usually known for its great top speed. 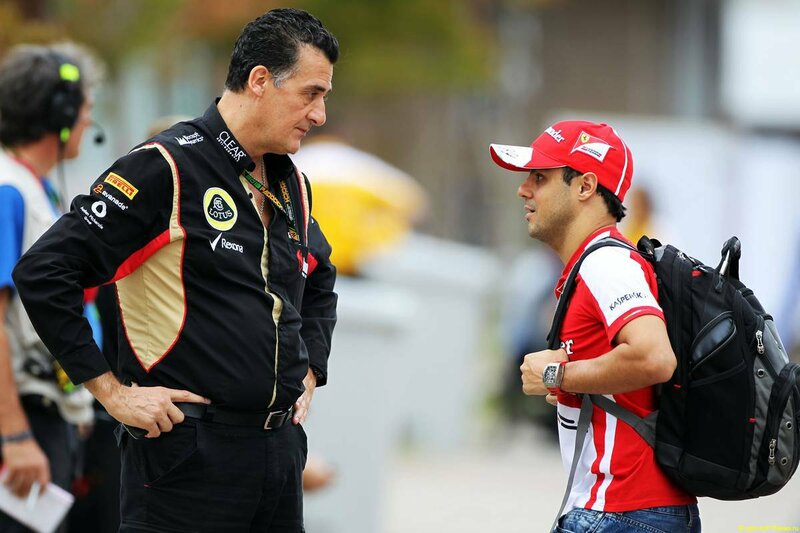 However, Kimi is now on an angry prowl for his future teammate. Alonso is not making any progress on Hulkenberg ahead of him as the German is driving beautifully. Kimi doesn’t have time for that and gets a sweet tow on the Ferrari down the straight and gets by the Spaniard. This time on the inside. The Ferrari still has superior traction out of corners and Raikkonen has to defend hard and brake very late to keep his position. But he does and takes up the hunt for the Hulk. Alonso pits on lap 9 and one would think Lotus should have pitted Kimi the following lap as an answer to this. Hulkenberg pits instead. And the black car is left out for yet another lap. This unfortunately leaves him behind Alonso once again with Hulkenberg up ahead after the stops. As this is going on, Hamilton has a chance to take the position back from Grosjean down the straight and it looks to be in the bag. Grosjean then makes a very very late twitch to the right and Hamilton practically has to lift and coast to avoid contact. He probably still has Spa 2012 in the back of his mind. Not cool Groggy, not cool. 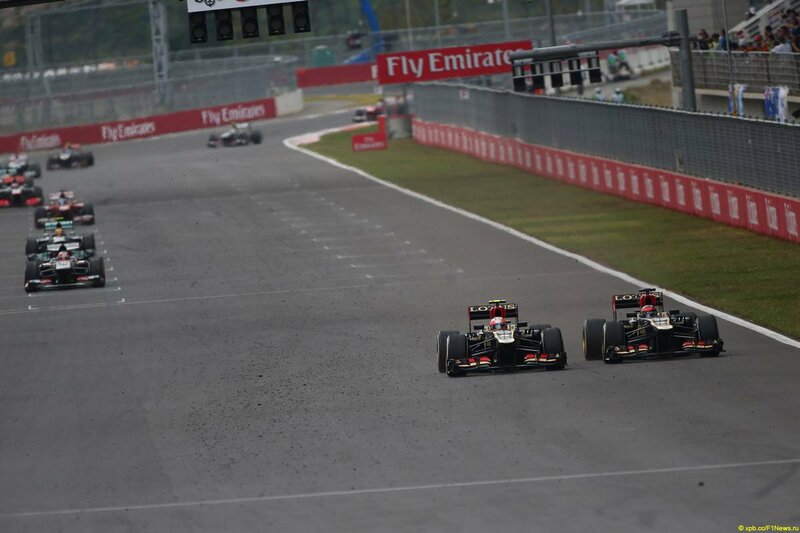 Alonso is now hounding Hulkenberg in the Sauber while Kimi is keeping a slightly bigger gap. In all likelyhood managing his harder tire. Webber has closed up behind them and a Sauber train is starting to take shape. 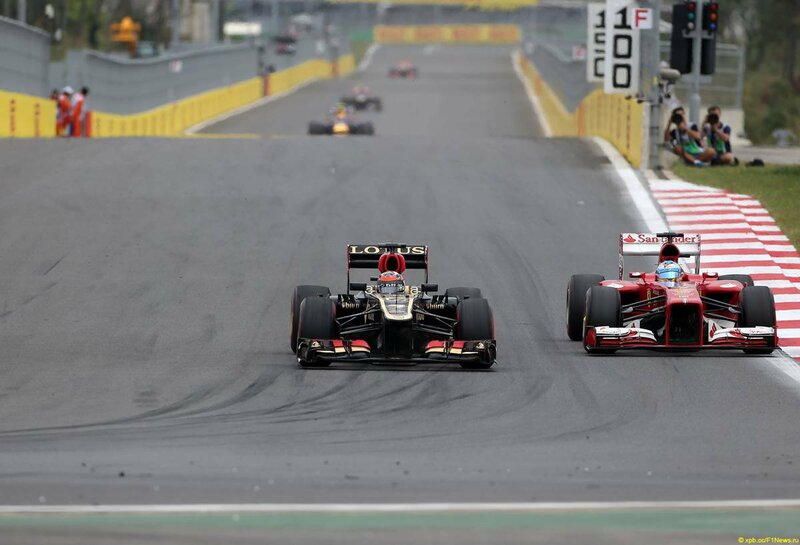 Up ahead, Vettel is slowly but surely building up a bigger and bigger gap to the other Lotus. 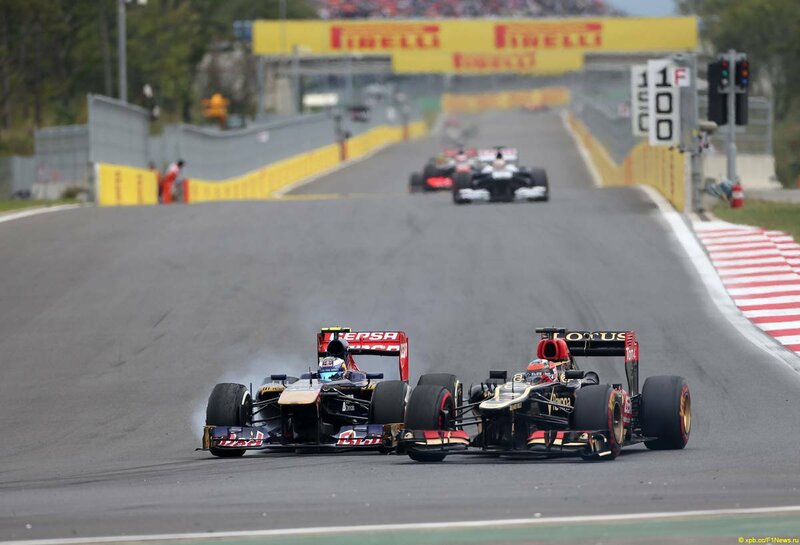 Still, the long wheelbase Lotus is working very well for both drivers it seems. Kimi has closed right up to Alonso again, but since Alonso also has DRS, passing is not as straight forward as earlier. Funny. 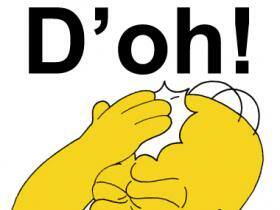 Not so funny for Hamilton though as he comes on the radio saying: “When are you gonna call me in?? These tires are fucked.” Lol. So colorful. The reply was that they had to service Nicos frontwing first. Bad luck Lewis. One more lap you go. Because of this, Kimi catches a break as Hamilton comes out of the pits behind him. His undercut has worked perfectly as he is well clear of Alonso and Hulkenberg too. Weirdly the tire is still rolling and it doesn’t look anything like the failures we saw in Silverstone. It seems Pirelli made some changes to the design for safety reasons. Safety Car comes out so debris can be cleared and several cars pit. When the smoke clears, Kimi finds himself sitting pretty for another podium in 3rd place. And once again, I look like an idiot. Sure, he caught a lucky break or two with Hamilton and the safety car. But one does not simply rule out the Iceman. Just throw another shrimp on the barbie, mate. More drama down the straight. Hulkenberg actually passes Lewis for 4th as the German is having a fantastic race. And to think that he may even be without a seat next year due to him being one of the bigger drivers, (because weight plays a big role for next years regulations) is nothing but a crying shame. He is one of the very best in the field. 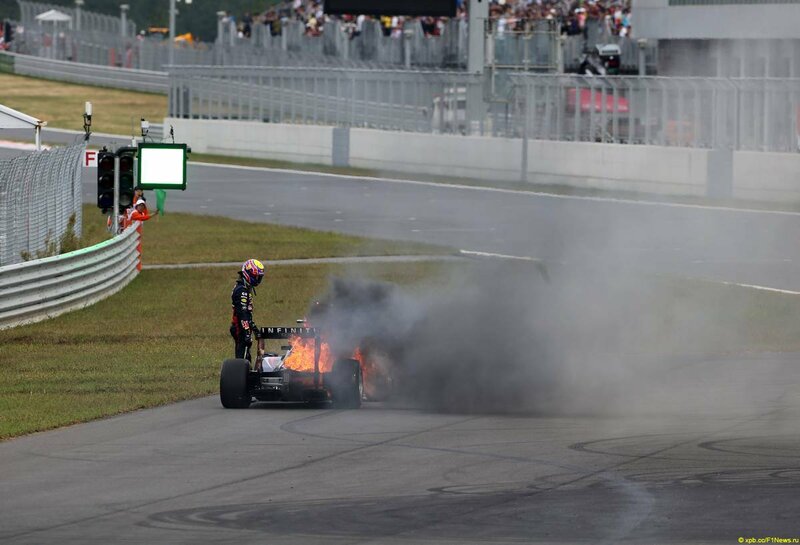 Sutil runs out of talent and glasses Webbers Red Bull in the side leaving it bleeding oil and coolant which almost immediately catches fire. Burn Bull, Burn! And here is where this race really starts to get nutty. 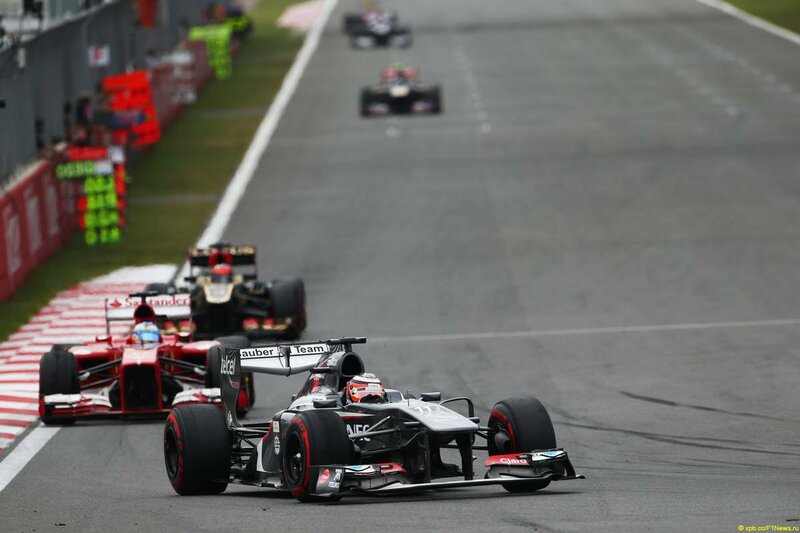 Kimi is right behind Grosjean on the start-finish straight and he makes the pass! But not before Groggy has made another late move chop which is his idea of defending. It’s to no avail as Kimi grabs 2nd place. No croissant for you! 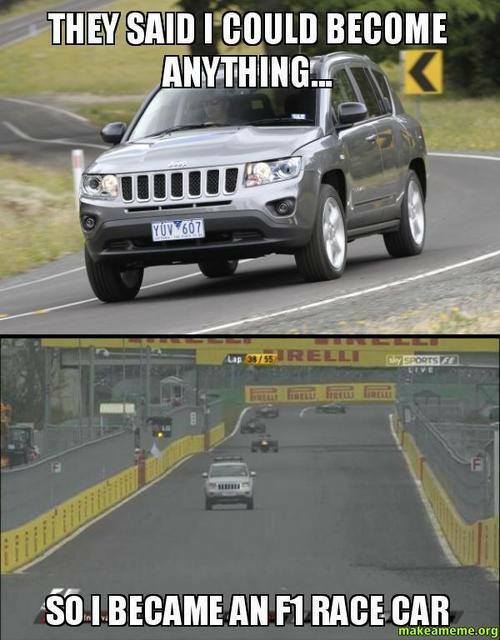 That’s well and awesome but now there is a Jeep or a Ssangyong or something blasting down the straight. Maybe not blasting, but driving at least.. You can almost see the big question marks coming up around Vettels helmet as there is no signs for a safety car or anything. Turns out it’s the fire truck that was let out on track before the SC. That’s a doozy..
SC pulls in and Kimi is not fooled by Vettels restart and stays with him. Do I see a tiny hope for a fight for the victory? Meanwhile, Alonso dices with his old teammate in the Mercedes. 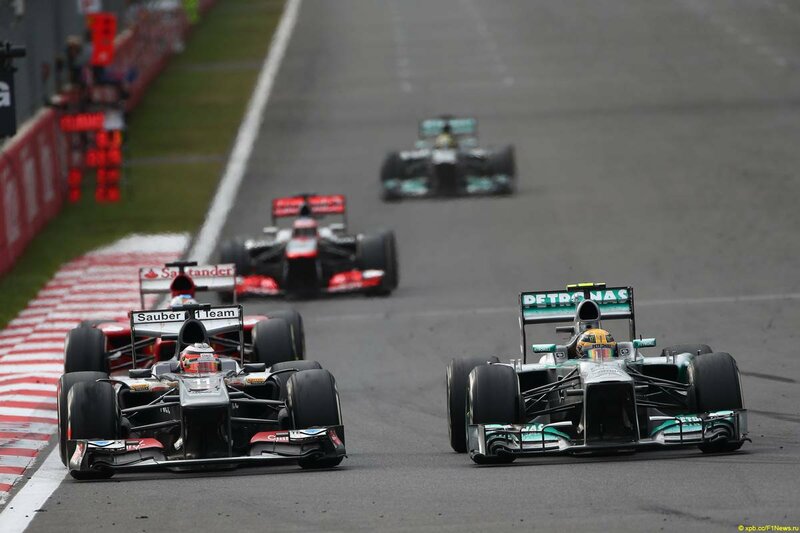 He gets by but Hamilton doesnt give up and retakes the position. Alonso looking a bit forlorn in this race to be honest. Guess who is on the team radio howling about being allowed past his teammate. Its our smiling frenchman that feels he ought to be given back the position which he lost fair and square due to a mistake he made himself. No Grogro, that is not how it works. It gets so bad that Boullier has to come on the radio and tell him to keep racing. Oh dear..
Kimi is pushing like hell but Vettels fresher tires coupled with the superiority of the Red Bull proves too much to handle. Plenty of action still around all over the track though. Hamilton passing Hulkenberg before getting repassed. There is a mighty scrap between Gutierrez, Maldonado, Perez and Massa. With Bottas in the mix as well. 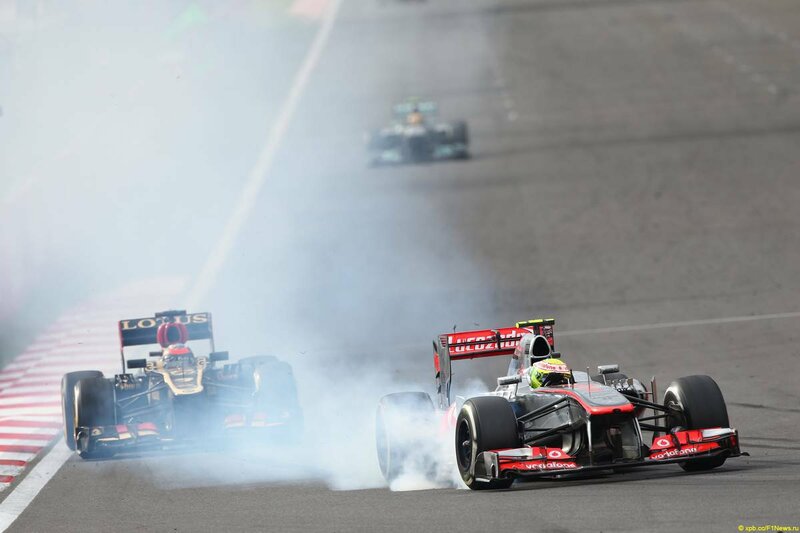 Massa shows he has some skills yet as he takes advantage of Maldonado and Gutierrez and passes both in one swoop. Great stuff. Another significant battle is Hamilton vs Hulkenberg. The Merc is faster but not where it counts. The Sauber has unbelievable traction out of turn 1 and 2 and no matter how close Lewis gets, there is no catching him. Hamilton even managed to pass him in the first DRS zone but the Hulk just repassed him in the second zone. Even before his DRS had opened. Amazing. Frustrating for the Brit but highly entertaining to watch. 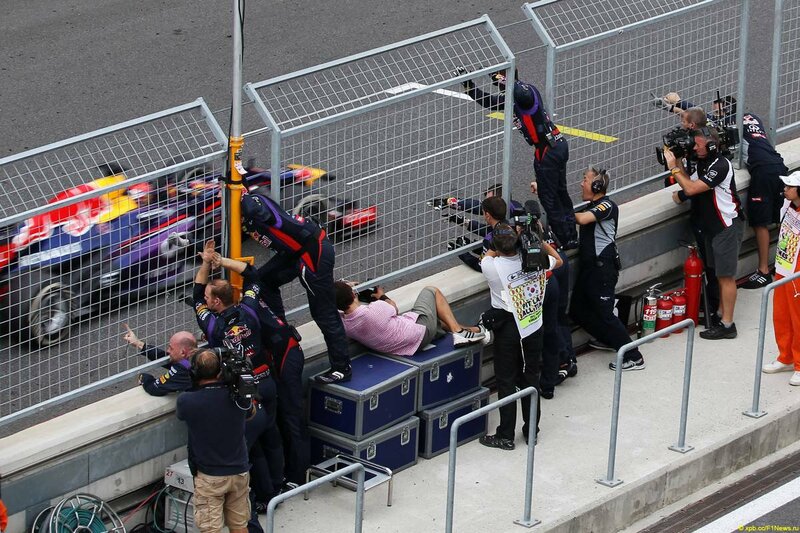 Eventually a great race comes to an end and Vettel is the first to cross the finish line for the fourth time in a row. He could wrap it up already next weekend in Japan. Just like he did in 2011. Hopefully no wolf song this time. Kimi is not far behind and we have yet another podium consisting of Vettel, Raikkonen and Grosjean. Good race. I love to be proven wrong like this. 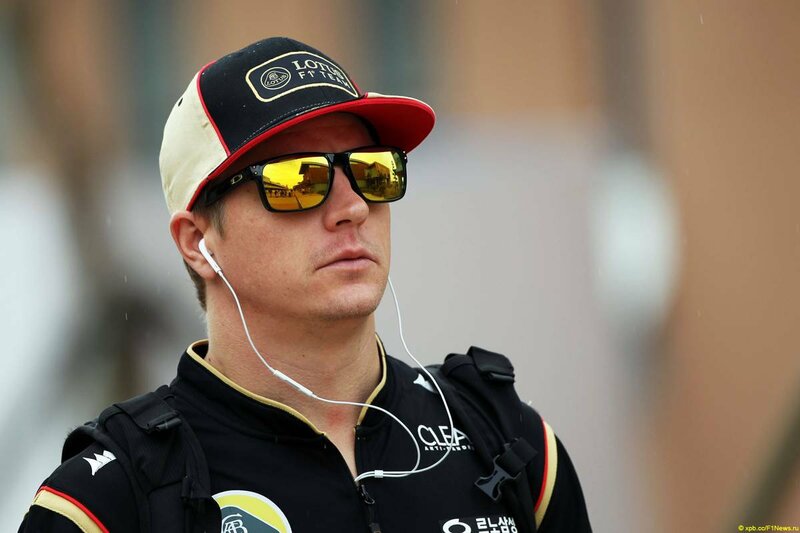 I also have some hope that Kimi will get a better starting position in Japan. He mentioned that they were aware of the problem they have in qualifying. Time for me to wrap it up as well. Only a few days to more racing action. Vettel may have won the title this year but if we have races like this one in Korea, I won’t complain. It doesn’t amount to much but I dedicate this review to my friend Denise “Dindi” Miñoza, who passed away on the 2nd of October. She died from a serious infection, only 31 years of age. She was such a fun loving gal and a great Kimi fan. Gone way too soon. She was also a much loved DJ on a local radio station. She leaves behind many grieving people that will miss her dearly. My heart goes out to her family in this time. R.I.P. Dindi. We love you. Below is a banner a friend of mine made for our Kimi group on Facebook. The quote is Dindis own words about Kimi. This entry was posted in Formula 1 and tagged 2013, Alonso, Button, F1, Fernando Alonso, Ferrari, Formula 1, Hamilton, Ice cream incident, Iceman, Kimi, Kimi 2013, Kimi Ferrari, Kimi Ferrari 2014, Kimi Lotus, Kimi Lotus 2013, Kimi podium Korea, kimi raikkonen, Lotus E21, lotus team, McLaren, Podium, Romain Grosjean, Rosberg frontwing, Sebastian Vettel, Vettel, Webber, Webber fire Korea. Bookmark the permalink. Smart-assery combined with actual racing analysis! In case you need more than just my pure smart-assery. Soren amazing review like always thanks for that. The least I could do. I am so sorry for your loss. Thank you for your feedback. Dindi and I had so many fun interactions and a lot of things in common. Even though I never met her in person it was like I had anyway. You can be very proud of her. She was a great person and a kind soul. I think about her a lot and she will be missed in every corner of the world from all the friends she made.